STATEWIDE - After debriefing Rebecca’s much needed vacation, we discuss the latest news on the GOP lame duck legislative session scheduled for next week. Contact your state legislators today to voice your opposition to the Republican power grab! 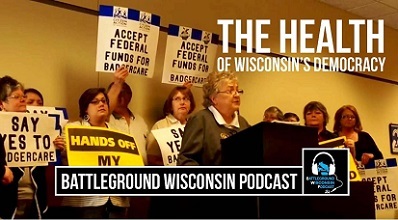 Robert educates us on Evers’ newly minted healthcare policy advisory council, Evers' plan to expand Medicaid, and what we can expect the next Congress to do on healthcare. We also review the recent Amazon deal and throw some love to the Eau Claire City Council for making marijuana possession fines $1.